~~GuRu bHaI~~: Wake up India ! 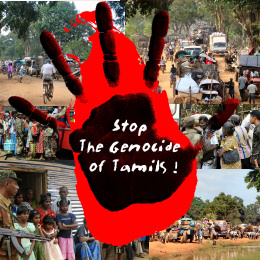 Echoes of noises are getting overboard across the country about the Lankan issue after a short knocking sound from UN. As the entire world knows, the intensity of this noise isn’t intentionally raised for the miserable screams of those who are actually suffering in our neighbour land and will eventually go languish in due course. Foreseeable battle for power on the election podium is the reason behind this sudden epidemic heat in the country. All the political colossi across the country are now cleverly utilising this crucial cruel issue to the fullest to manipulate the allies and vote banks for the most awaited game. The voices of all agitators will ultimately going to make or break nothing in the lives of the actual victims. It makes no sense in calling for emergency after the last breadth of a person on death bed. Just make sense! They badly needed this moral support and bolstering voices from us when they were in the real situation of catastrophe. We were cornered to pretend like senseless humans when more than 40,000 civilian lives were mercilessly killed. We were literally pretended like blind and dumb enough to walk unnoticed when more than 2,00,000 people were displaced from their homes and suffered with no basic amenities to live. Were we really dumbasses? Were our hearts petrified? Were we intoxicated with inhuman? Were we ruthless on our siblings? Were we busy in our own lives when people were brutally raped, massacred and ill-treated? If not, why the wake-up call pricks our consciences now? So, what and of course why are we going to respond now? Who is this U.N. fellow? A unanimously masked global organisation formed by those triumphant nations of world war II who are well known for inscribing colonialism and dictatorship over the rest of the world. Does he really care for the world peace? Does he really penalize the culprits of global crimes? Does he raise voice against global inhumanities? “Yes” would be the answer for the above questions only when countries like U.S., U.K., Russia, China and other Iconic European nations are out of the crime loop. It is History which says the above fact not out of my own perception. In this context, China is indirectly and implicitly involved in the issue in supporting Lankan Military forces throughout the course of war. 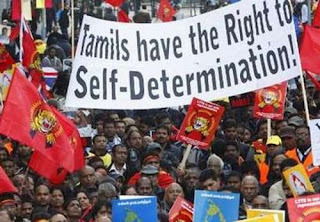 There are also proofs which say that by being an inertial spectator, how far India helped the Lankan troops to demolish the lives of Tamil Civilians in their land. So, any favourable justice for the actual victims of this cruel human disaster is undoubtedly going to be a pipe dream. We aren’t such hammerheads to believe that mere imprisonment of Rajabakshe will resolve and sort out everything in SriLanka. Between, by fueling the burnt issue, politicians are kindling the peace amongst the people in our nation. Again, are we going to be dumbasses? At least now, we should realize that it is the time to stop snoozing to wake up! Let us put period to this stupefied nature of listening to whatever our rulers say though we know they do not deserve to do so. It should be we who should play the game with them and not them with us as always. Until the elections head, these kinds of arousals would be happening as they wish. But, we shouldn’t compromise in these happenings but should get into something which really makes sense in helping those real sufferers in getting their peaceful life back. 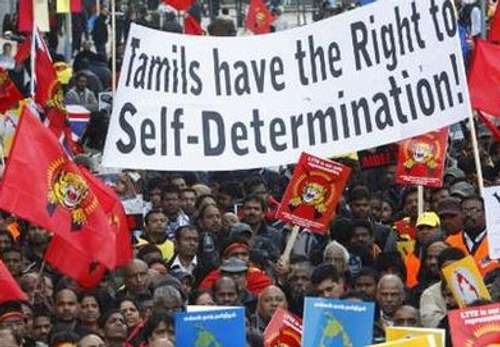 Rather leading our Government to instability, we should push it hard to give economic and political pressure to the Lankan Government so as to bring in peace in their northern regions. India should try to get the support of all the nearby nations to help them out in achieving this rather the political landscape plunging the people. Indian Government should come out of diplomacy and nepotistic consequences at least at this point of time since they have swallowed numerous innocent lives. Wake up India! Raise and voice bit more loudly but with the right chords and towards right channels. No matter whether the party which shows its five fingers or with saffron colour commands us, we need to learn the habit of driving them back…!